Rental housing coalition says levy too steep, plans competing measure for November. Stephen Barton wants Berkeley to pass an affordable-housing fund. Whose fault is it that the rent is so damn high? J. Stitt Wilson — the Christian socialist, suffragist, and teetotaler mayor of Berkeley 105 years ago — had an answer: "As the community grows, site values and land values increase," he explained to a gathering of California mayors in 1911. "This increase in site values is not made by the industry, skill, labor or forethought of any individual. It is an increase in the value arising out of the association or coming together of men." In other words, it's our fault, collectively. As we congregate in a city or region, we drive up the price of housing, especially in crowded places with booming economies where new land is scarce. But in California, the profits from ever-increasing land values aren't shared for the public good. They're collected by landlords in the form of higher rents. California progressives like Wilson tried in the late 19th and early 20th centuries to reform tax systems so that at least some of the land value created by society would be available for public purposes. But they largely failed. Later, laws like Proposition 13 made artificially low property taxes a permanent feature of California's constitution. But a broad-based coalition of Berkeley renters, affordable-housing activists, political leaders, and even some landlords are trying to revive the idea of a land tax. And they want to dedicate the millions it could raise to affordable housing. Last week, the Berkeley City Council unanimously voted to place a 1.8 percent gross-receipts tax increase on the November ballot. The ballot measure would raise an extra $5 million a year. All the funds would have to be spent on affordable housing projects and homeless programs. "The rationale is that rents have gone up substantially in the last few years," Berkeley City Councilmember Laurie Capitelli told the Express. Capitelli is a supporter of the land-tax measure and also a small landlord. "We are trying to recapture some of that value so we have resources to not only provide affordable housing, but to also support homeless programs in the community." Capitelli said that the tax is crucial because state budget cuts have reduced funding for housing programs. The tax would also minimize Berkeley's reliance on fees imposed on new housing development, and provide a more stable source of affordable-housing funds that isn't tied to the real-estate industry's harrowing boom and bust cycles, Capitelli said. The tax increase would only apply to landlords who own five or more units of rental housing. Currently, Berkeley landlords pay $10.81 for every $1,000 in gross receipts. The new tax rate would rise to $28.80. Smaller so-called mom-and-pop landlords who own three or four rental housing units would continue to pay the $10.81 tax, and those who own one or two rental housing units would be entirely exempt from paying any landlord business tax, as is the current policy. "That's not an insignificant amount," Capitelli admitted about the tax increase on larger landlords. But Berkeley's landlord tax hasn't increased in many years. Meanwhile, rents in the city have gone up as much as $500 or more a month, he said. "We're taking back a small portion of that and committing it to affordable housing." The driving force behind the landlord tax is Stephen Barton, Berkeley's former director of housing. "Rents are skyrocketing because more people with more money want to live near growing jobs in the Bay Area," Barton said in an interview. "But that value is not created by the landlords. It's created by the Bay Area's diverse and creative culture that has attracted people, and by governments that have created the infrastructure that makes the Bay Area work." 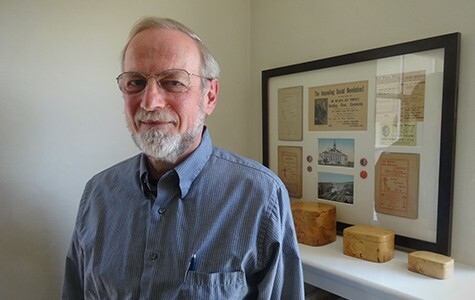 Barton ran Berkeley's housing department from 1999 to 2007, a period in which Berkeley landlords reaped what he calls "windfall profits" due to the passage of the Costa Hawkins Rental Housing Act, a state law that nullified Berkeley's strong rent-control law. Before Costa Hawkins, Berkeley's rent-control system prevented landlord from increasing rents on controlled units more than an annually approved amount, usually just a few percentage points. But in 1999, the Costa Hawkins Act required what's called vacancy decontrol for all rental units, a system in which landlords can increase rents by as much as they want when the current resident vacates a rent-controlled apartment. According to the Berkeley Rent Board, this allowed Berkeley landlords to increase rents by an aggregate amount of $100 million annually, over and above the inflation-adjusted amount of what is necessary to provide a fair return on investment. Since 1999, 85 percent of Berkeley's rent-controlled apartments turned over at least once, causing big rent increases. "This has been a massive income transfer from tenants to landlords," Barton said. "It's deeply hurtful to low-income people." Barton said his proposal draws from a deep well of political and economic thought, including the ideas of Henry George, the newspaperman and political economist who proposed taxing land-value increases after he witnessed the San Francisco real-estate boom of the 1870s. And Barton is currently writing a biography of Berkeley's J. Stitt Wilson. Many Berkeley landlords don't disagree with the idea of raising their taxes. "We feel there's merit in increasing the landlord tax to make funds available for affordable housing and homelessness programs, but it has to be done in reasonable fair way," said Krista Gulbransen, the executive director of the Berkeley Rental Housing Coalition. She said her group has polled on the issue and found that the cost of housing is the No. 1 issue that Berkeley residents care about. "The bottom line is that it raises additional funding. Anything that raises funding is worth getting on the bandwagon for," she said. But according to Gulbransen, the tax increase drafted by Barton and supported by the Berkeley City Council is too high. Her group favors increasing the tax to $15 per every $1,000 in gross receipts. The Berkeley landlords' group plans to put their measure on the November ballot to compete with the measure approved by the city council. As for the idea that land values are a social product that landlords have privatized, Gulbransen called the concept "extreme." "I think that's something most Berkeley residents wouldn't agree with," she said. Some fear that the landlords' measure could split the vote and neither measure will pass. "It's great they're ready to recognize that as landlords making these profits there should be some kind of way to give back to the community," said Charlotte Rosen of East Bay Housing Organizations, an affordable housing advocacy group. "But at the same time, it's a little strange they're not getting behind the measure that has been endorsed by most councilmembers and mayor, because it's really just a modest increase for them." Barton said the landlord-drafted measure doesn't raise enough money, and it's actually more burdensome on smaller property owners. According to Barton's calculations, the Berkeley Rental Housing Coalition-drafted measure would only raise $1.4 million a year in new money. The council-supported measure aimed for $5 million in new revenue to provide the city with resources to finance the construction of 45 new below-market rental units every year. By contrast the landlord version of the tax would only be able to build 12 units a year. Gulbransen said other features of the council-supported measure are too complex. For example, the measure drafted by Barton exempts Section 8 landlords from having to pay the tax increase. It also exempts landlords who haven't increased rents on their rent-controlled units due to a tenant having moved out since 1999, an acknowledgement that these landlords are collecting below market rents. The landlord group also questions why the council-supported measure exempts new construction for twelve years from paying the tax. While the landlord measure is a smaller tax increase, it provides for none of these exemptions. Barton said these exemptions make the tax equitable and ensure that only big landlords with low tax bills and higher rents pay. Capitelli called the various exemptions reasonable and said the $5 million goal is a good amount to aim for. "I wanted it to be one that's feasible and workable and generate a significant amount of money, but not go overboard so to speak," she said. "To build 40 units a year is a goal we should aim for." The long-term goal, according to Barton, is to create affordable housing that isn't vulnerable to political decisions like the Costa Hawkins Act, or to budget cuts that reduce the numbers of housing units available through programs like Section 8. "We need to create a significant amount of nonprofit housing because it'll be a long time before market-rate housing filters down and becomes available at rents that are affordable to low-income people," he said. But won't landlords just pass the higher taxes through to tenants? "They can't, because we have rent control," said Barton, who added that rents on units not covered by rent control area already priced as high the regional market will bear, making further increases unlikely. 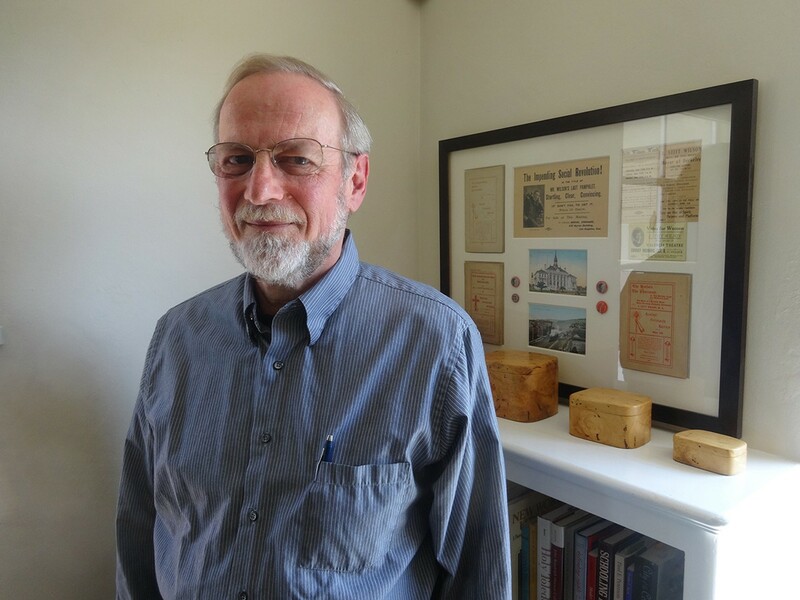 Rosen thinks Berkeley could be the proving ground for the landlord tax. "There is this tendency on behalf of elected officials to say that their hands are tied, that it comes down to state and federal funding or laws, or they say they don't want to mess up the development market by charging fees, but at same time there's no excuse," Rosen said. "We do have these local tools. If it passes, it'll be exciting."